I've started putting this together in my free time. Give it a look and pick it to pieces, if anything doesn't make sense point it out, or if my information is wrong, point it out. I'm partially putting this together as a test of my knowledge on the subject as well as a teaching mechanism. the guy does quite a bit of physics discussion. may be pertinent to your interests. edit: also, I think you misuse the word "linear." it doesn't mean constant light, it implies that intensity does decrease/change, but in a linear fashion (e.g. y = nx). I think you mean to say "assume light is constant with distance." Last edited by darkreaver : 11-25-2013 at 04:45 PM. Thanks that's exactly the sort of feedback i want. I didn't realize that exponential was different than geometrically, though i did mention inverse square law, I'm just using the wrong word. I do mention inverse square law. My problem with most tutorials is that they are needlessly verbose and confusing. For the most part an artist doesn't need to know the mathematics behind it (but the more math they understand about it the better), but simply the effect of those mathematics and understand the relationships between everything. This is why i love constructions, as they are mathematical in basis but provide a simple framework for understanding. I want to try and break down light and colour into a digestible way. I think that the subject is nowhere near as heavy as people purport it to be. The first principles that drive it all are fairly simple, but the implications of those first principles are what are super hard to understand. I hadn't specifically been using those references, and i have been doing a lot of testing and observations under controlled conditions, and drawing on many years of arguing with other artists. I think i do need to get a bit heavier with the research. This is also why i am calling for criticism. Dear god i hate this mans writing style. He refers to many things in really verbose ways, and he doesn't lay out information in a logical format. visual color is the perception of radiant color in a specific viewing context — usually as a physical surface in a specific place under a specific intensity and color of illumination. Visual color literally does not exist outside individual consciousness. There is an enormous body of evidence to show that color experience is remarkably personal: it varies significantly across individuals, for a variety of reasons (genetics, age, experience). In addition, the same radiant color can appear as very different visual colors, depending on the intensity of the light and the context in which it is viewed. As a practical matter, then, the connection between a material color and visual color can be highly variable across individuals and viewing contexts. You can make that far easier to digest without loosing any impact. Colour relativity is the idea that the human brain interperets different hues and values in relation to other hues and values surrounding them. A warm colour enveloped in a cool colour will look cooler to our brains than it really is. However this is not a physical effect, and is simply an optical illusion we need to understand and manipulate. Ah yep, you made an edit, thanks for that linear catch... i knew that i just used the wrong word. Stupidly enough i use it correctly later on. So in terms of inverse square law. Would i be correct in saying that the plane value falloff is exponential, but light fall off is geometric? Last edited by muzz : 11-25-2013 at 09:07 PM. Just a little practicing of what i'm preaching. I'm looking for ways to improve my lighting skills always. You do remind me of sycras videos on the subject matter. The question is how i can use the information to my benefit. I don't know whether its because i'm being exceptionally hamfisted or i'm missing something. Just got to practice i guess. I’m going to avoid getting too technical with this, but i do need to get a little bit. A simple way to think about this though is pick any distance from the light source and measure its intensity. Now go twice that distance, it will now be ¼ of the strength of your initial measurement. Now this really did interest me. I'm always looking for little nuggets of information like this. Does anyone have a technical physical reason why fresnel exists. Cool stuff Muzz. Easy to understand for the most part. Technical physical reason why fresnel exists? Meaning "the observation that the amount of reflectance you see on a surface depends on the viewing angle"? from richard feynman's QED, basically where it takes the shortest time for the photons to reach your eyes there will be a higher probability of the photons being there, and this depends on the reflection angle (strictly speaking light reflects off all possible angles. the probability is determined by the amount of time it takes to get from A to B. The shorter the path the higher the probability. The higher the probability the more photons there will be, so it looks brighter/darker) so where you are will definitely determine the probability. You can map it out and draw the arrows and everything. Idk if that answers your question. I just realised that i was actually correct about the exponential decay. You are refering to inverse square law which is attenuation of light assuming a perfect point light. I am referring to area that a photon must illuminate based on plane angle. Ugh I hate lighting theory. My approach so far is to ignore everything that's right, and try to learn it without 'knowing' it. Basically, I try draw or paint what I see and try to figure out how it works purely from my visual experiences. It might be worth trying to learn it for real, but I'm doing a lot learning at the minute and my head just doesn't seem to want to play anymore haha. 5te. That approach is perfectly acceptable man! I just put this knowledge out there for the people like me that dig this info. 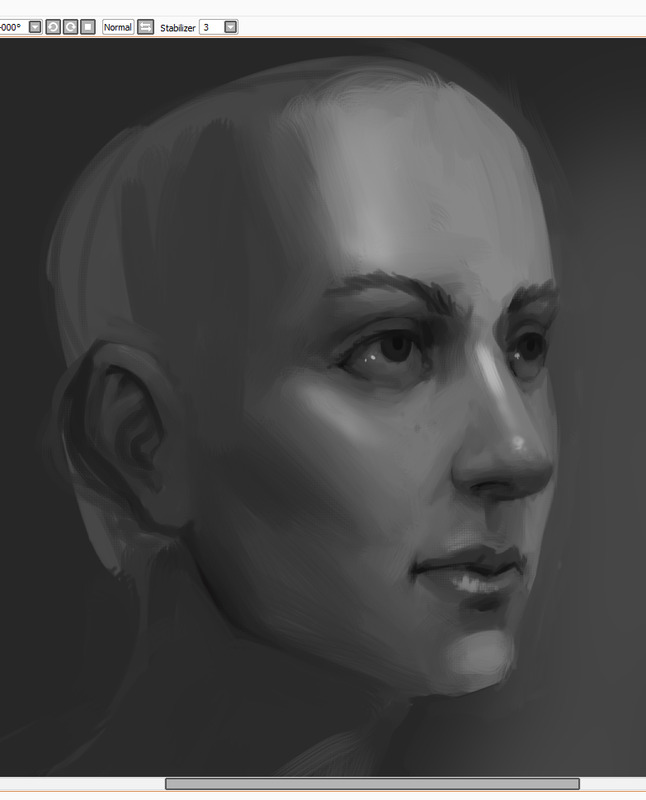 Though how i suggest to learn that way is simple, learn how to cell shade, just 2 tones. Learn how to make that feel right. Then blend. do it for multiple lights on multiple layers.